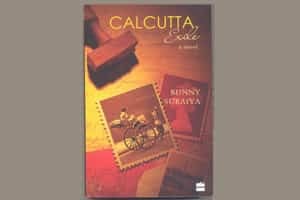 Calcutta Exile: Bunny Suraiya, Harper Collins, 249 pages, ₹ 299. “Can’t you see what’s happening around you?" asks Robert Ryan of his wife, Grace. “You have to be blind, men, not to see that there’s no future for us in this place." The Anglo-Indian Robert is a gloomy seer in his own country—whichever that may be. Since independence, Robert has longed to “go home", to the England he has never seen, and to which he is convinced he truly belongs. “We were the top dogs when the English were here," he tells Grace. “And now these bloody Indians will kick us in our backsides and take everything from us." It is a life of racially segregated clubs (the Anglo-Indians have their own “DI" or Dalhousie Institute) and glamorous jazz bars, of ayahs and baba log, and of bewilderment at the newly enforced mores of a country which celebrates all its festive days with a blanket ban on alcohol. To Robert, a covenanted assistant at an English company, nothing could be more detestable than the oncoming reversal of the life he is used to, where his English superiors will no longer be returning from “home leave", and younger, better-educated brown Indians gain in influence over him. His family has different ideas: Grace is wary of life in a country where women are little more than slaves to their household chores, with no convenient labour economy of servants, bearers and rickshaw pullers to help them along. Sohag Khatun and Apurru, the Bengali Muslim couple who have been in service with the Ryans for decades, are themselves contemplating the meaning of a native place in post-partition India, and wondering if Chittagong across the border will ever welcome them back. And the Ryan daughters, Shirley and Patricia, come from a generation whose ideas about race and belonging differ significantly from their father’s. Calcutta Exile, in which no one leaves the city until the very last page, is about how these characters, and several others, establish and deconstruct their own notions of home and identity. They fall in love with their compatriots, employ and work for them, and make their own way through their beautiful, complex, heterodox city, as they each head to crisis point in their lives, over the course of a year. The unselfconsciousness of these characters, and the way they interact with history, is Suraiya’s greatest accomplishment in this novel. Robert’s misplaced racial arrogance stands out both for its wrong-headedness and its complete believability in an otherwise intelligent and kind (and we realize just how kind in a moving episode at the end of the book) person. Suraiya captures the small preoccupations of life and fashion in watering holes like the DI, and in Calcutta’s prosperous middle-class homes, with both meticulousness and palpable joy. Menus, fashions and music are faithfully recreated, as are the English-medium accents of the 1950s in metropolitan India. Suraiya lays all of these out in short chapters, almost like sketches in the first third of the book, which establish both character and atmosphere almost by accumulation, a process similar to Vikram Seth’s in A Suitable Boy, another novel in which post-independence Calcutta comes into its own as a character. As the plot progresses, the characters become increasingly enmeshed in each other’s stories, and the novel’s narrative power increases. But Suraiya’s even-handedness prevents the story from ever really gaining steam, proceeding even through crisis points with a calm self-assurance that leeches the book of any real literary tension. We grow to like these characters, and care for matters like Shirley’s job and Sohag Khatun’s impending migration, but never enough to genuinely worry about how these will turn out. Part of this has to do with Suraiya’s style, which is evocative and confident, but relentlessly laid-back. Part of this has to do with the familiarity of the very Calcutta she evokes—one in which real tensions of class, race and religion, so vividly exposed in its actual history, take a back seat to a gracious, but rose-coloured memory. Suraiya’s Calcutta is a sensuous recreation of the imperial city of old, a civilized, liberal town in which everyone—of a certain stratum of society—knows everyone. The Ryans make their way from the Calcutta Club to Nahoum’s to Flurys with the ease and fluidity of lifetime members of that small circle of the affluent and the well-born. But it would be peevish to call this a lack of ambition, and perhaps Suraiya’s book does teach us of how our good old days are really a product of our innocence, and our ability to continually forgive the past. Perhaps, this too is how homes are constructed in countries to which we have never been.